South Africa retained its top position among African trade partners of Vietnam in 2018, with bilateral trade topping US$1.1 billion, up 11.7% from 2017 and accounting for 16% of total trade between Vietnam and African countries. 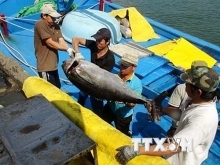 According to statistics of the Vietnamese trade office in South Africa, Vietnam shipped US$724.3 million worth of goods to South Africa, down 3.7% year on year, but its imports from the country surged 59.5% to US$386.4 million. 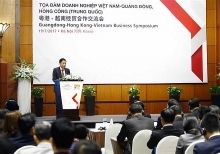 The office’s head Dao Manh Duc attributed the drop in Vietnam’s exports to falling shipments and value of mobile phones and parts by foreign-invested enterprises in the country. 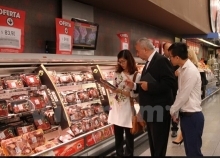 As the biggest staple in Vietnam’s exports to South Africa, those products brought home only US$227 million in 2018, down 22.2%. Footwear and computer-electronic goods are two other main items in Vietnam’s export to South Africa, earning US$108.8 million and US$96.2 million, respectively, last year. It is noteworthy that coffee shipment value saw an impressive increase of 108.4% last year to US$17.3 million. However, pepper suffered a decrease of 37% to US$9.2 million. The big increase in Vietnam’s imports from South Africa was driven by a 46.9% growth in fruit and vegetables and a 35.5% rise in wood and wood products. Meanwhile, metal, the main item in Vietnam’s imports from South Africa, saw a drop of 3.3% in value to US$89.7 million. Vietnam’s purchase of metal, machinery-tools and steel products fell significantly, with decreases of 88.2% and 40%, respectively. Following South Africa, Egypt is the second largest trade partner of Vietnam in Africa, with bilateral trade going up 36.6% in 2018 to US$439 million. 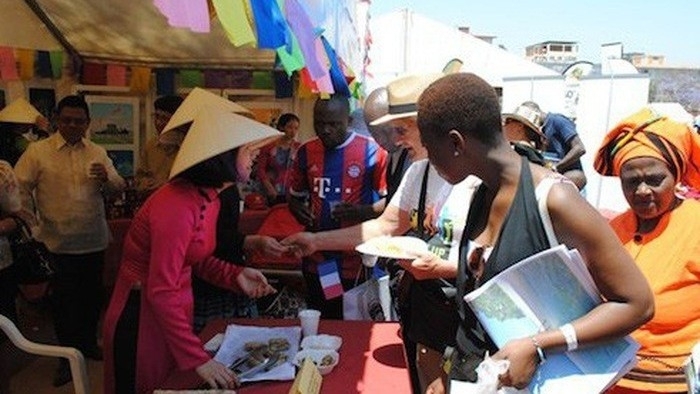 Vietnam’s trade with 53 out of 55 African countries was estimated at US$6.6 billion in 2018, with export value approximating US$3 billion, up 10% year on year, according to statistics of the Department of Asian-African Markets under the Vietnamese Ministry of Industry and Trade.